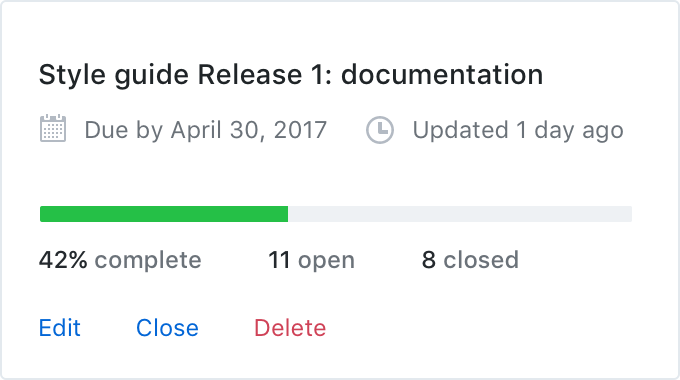 On GitHub, project managers and developers coordinate, track, and update their work in one place, so projects stay transparent and on schedule. Create an issue to suggest a new idea or track a bug. Then organize and assign tasks to your team. And don’t spare any attachments—issues support most image and file types. 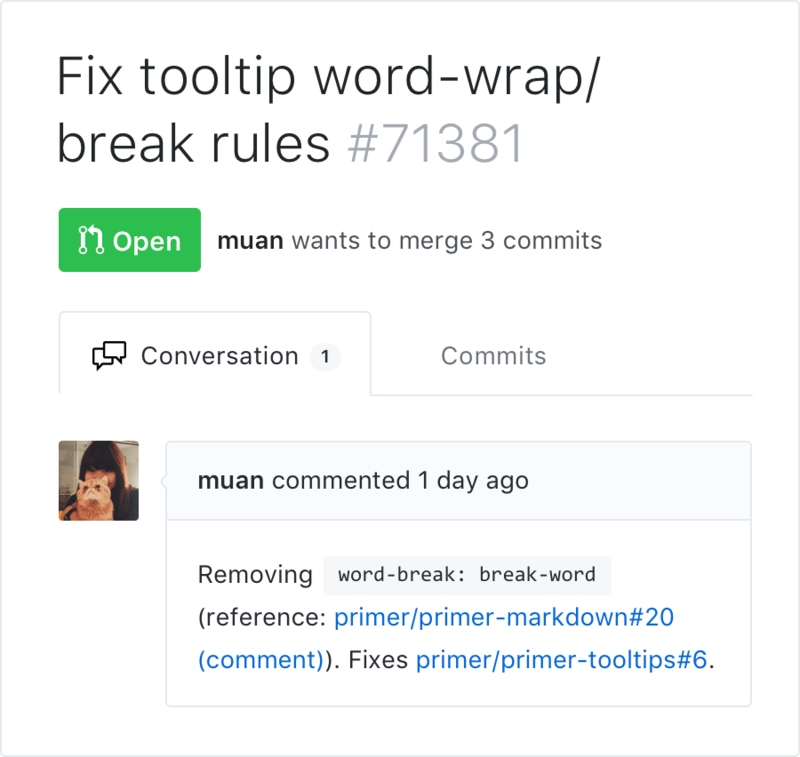 Issue, comment, and pull request descriptions support Markdown task lists—checklists you can use to coordinate and track parts of a project. Reorder tasks as your priorities change, and check them off as you complete each one. Assign up to ten teammates to an issue or pull request to make sure work has an owner. Mentioning other people or teams in the issue will notify them if something changes. They can also stay in the loop by opting to receive notifications whenever someone posts a comment. Tagging issues and pull requests with labels allows you to quickly search for them later. Filter your issues by label to find and reference all issues that are part of your project. Pro-tip: Templates help your team create issues without starting from scratch. Add a milestone to track a project as part of a larger goal, like a quarterly to-do list or a big feature. Then watch your milestone’s overall progress from the milestone page. 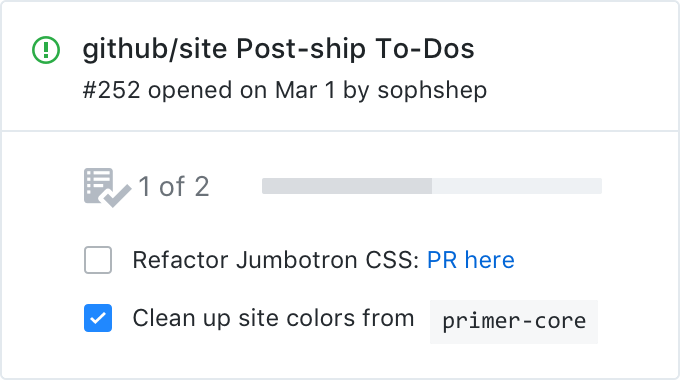 Track updates to your project without complicating your workflow by crosslinking between issues and pull requests anywhere in your GitHub organization. 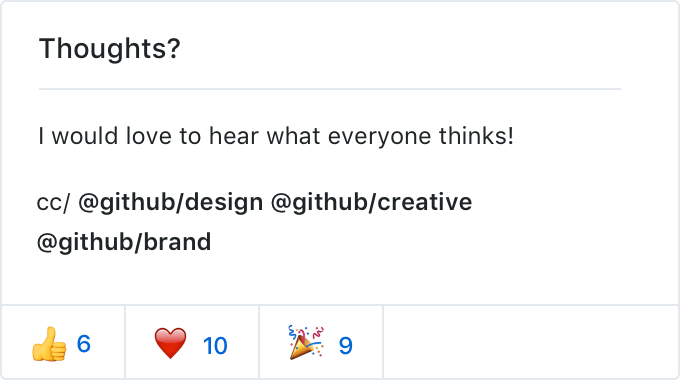 If you associate an issue with a pull request, it will automatically close when the pull request is merged. Visualize all of your work and prioritize it right alongside your code with projects boards. See what tasks are planned or in-progress, either in a repository or across your organization. Pro-tip: You can see which project an issue belongs to by viewing the issue’s projects section. Sort tasks into columns by status. You can label columns with status indicators like “In Progress,” “Up Next,” or “One Light Year from Now”. There are a few ways to add your team’s to-dos to a column. Write notes on your tasks or search existing issues and pull requests, then add them as cards. Each card has a unique URL, making it easy to share and discuss individual tasks with your team. If a note needs next steps, convert it into an issue from your project board. 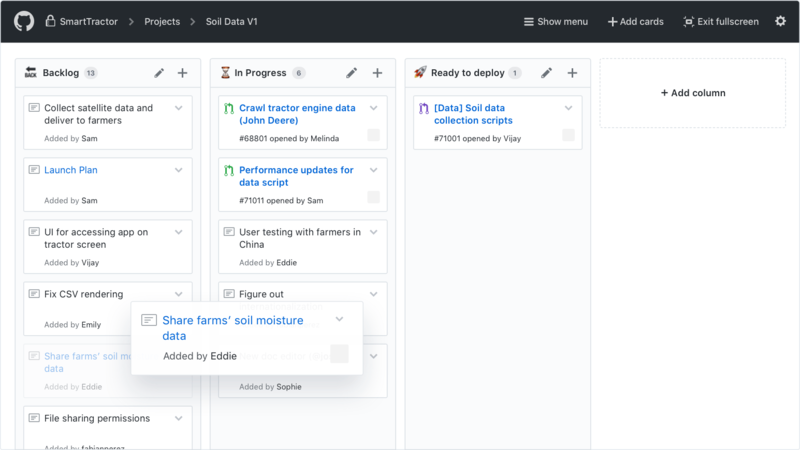 The activity view helps you keep track of everything happening in your team’s project and see exactly what‘s changed since the last time you looked. 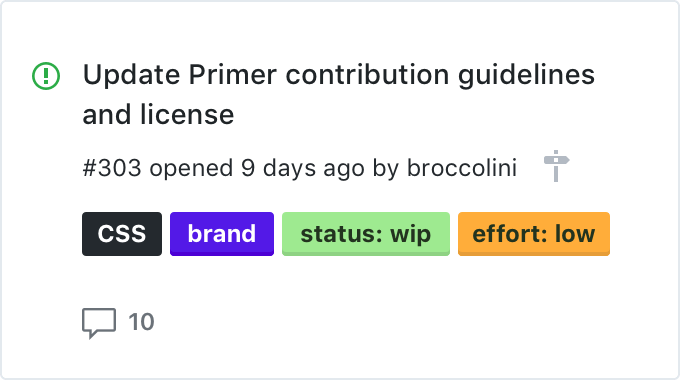 If you’ve completed a project, congrats! Close your project board to remove it from your active project list and wrap up your work. 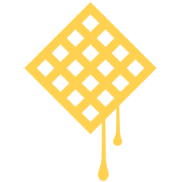 Extend your project management process using tools that integrate with and build on GitHub issues and pull requests.